India will conduct 19 missions from now till March, according to K Sivan, Chairman of India’s space agency ISRO. These will include the launch of India’s lunar mission, Chandrayaan-2, which has been pushed back from end-2018 to early January 2019. According to Sivan, Chandrayaan-2 will be launched using the GSLV Mk III, ISRO’s latest and heaviest launch vehicle with an indigenous cryogenic upper stage. This will be the GSLV Mk III’s third flight, with the second scheduled to take place in October, with the launch of ISRO’s geostationary communications satellite GSAT-29. “Our next mission is on September 16, and the PSLV-C42 is going to launch NovaSAR-S and SSTL S1-4. This mission is a totally commercial mission. 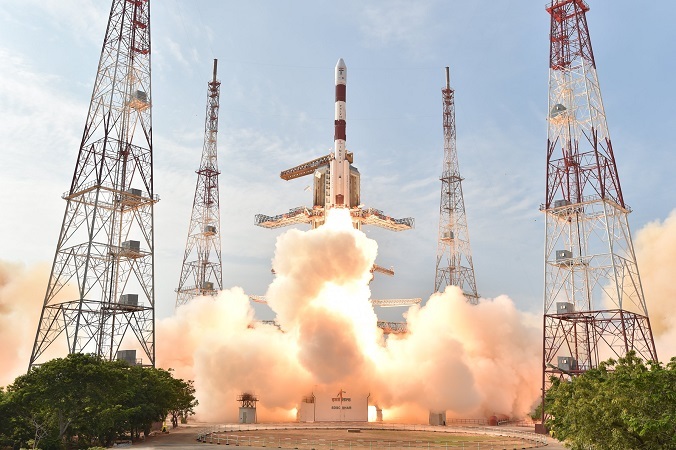 And in October we have 2 missions, the HySIS mission launched by PSLV-C43, and in the same month, we are going to have GSAT-29, launched by the GLSV Mark III on its second flight”. In addition, Sivan announced that ISRO’s upcoming small launcher, the Small Satellite Launch Vehicle (SSLV), will conduct its maiden flight in mid-2019. Smaller than ISRO’s workhorse vehicle, the Polar Satellite Launch Vehicle (PSLV), the SSLV is designed for rapid, low-cost launches of small satellites weighing up to 500kg and will expand the scope of India’s commercial launches.